LOCAL FOOD SPECIAL – 7 Classic Local Recipes to try in July! As Singapore celebrates our Annual Singapore Food Festival in July, why not join in this fiesta by recreating your childhood’s most-comforting food memories in your own kitchen with classic local recipes that will surely bring you on a nostalgic journey to the past! Cook up a storm with favourites such as Kueh Dadar, Onde Onde, and all-time favourite Singapore Laksa. Take your pick from our list below and start whipping up these delights! 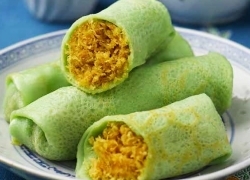 A Sink your teeth in a local Peranakan delicacy made from pandan flavoured crepes with shredded Gula Melaka coconut filling.This sweet coconut stuffed pancake roll is usually served as a snack at tea time that goes wonderfully well with coffee or tea! 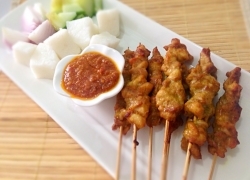 Instead of heading to the Satay Club for your satay fix, learn how to make your own rendition of this Singapore classic right at home! Be the hero of the barbecue with these dangerously addictive sweet and sticky satay skewers! These flavourful morsels of chicken are marinated in a blend of spices overnight, allowing the meat to absorb all the flavours before hitting the grill. Served with a homemade delicious peanut dipping sauce, trust us when we say you won’t be able to stop at one! 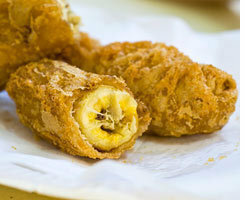 Pisang Goreng (banana fritter) is a beloved local snack that is gettingmore difficult to find these days! Make your own sweet bananas cookedtill tender and coated with a delicate crispy batter makes for theperfect tea time snack! A firm favourite with local diners, some prize the texture of thewantons over the texture of the noodles, while the soup and condimentsmake or break the dish for others. With this recipe, you can cook the noodles’ texture till your likingand add as much or little condiments as you like. Enjoy a delicious bowlof Wanton Noodles served with dark soya sauce, topped with wanton andbarbecued char siew in the comfort of your own home! 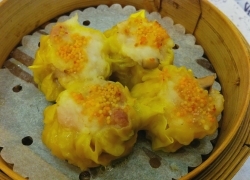 Along with Har Gow (crystal shrimp dumplings), Siew Mai (Chinese pork and shrimp dumplings) are a dim sum classic. Though it has Cantonese origins, Siew Mais are a perennial local favourite when diners head to dim sum restaurants. Learn to make these little treasures filled with pork and shrimp that are incredibly juicy and flavourful with Chef Trish Yee’s recipe! This is one that needs no introduction! 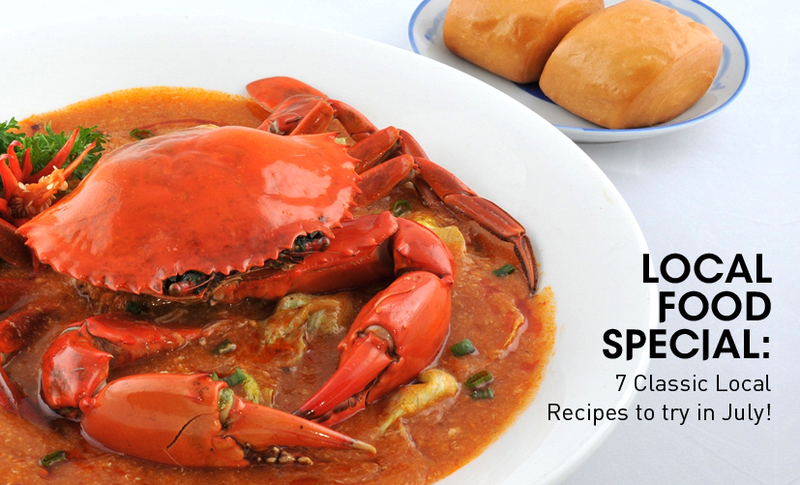 An iconic local dish with aneggy, slightly sweet and tangy sauce, it is almost a must to enjoy withmantous. 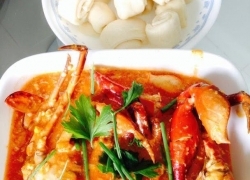 Traditionally served with steamed mantous, they are equallygood with deep-fried mantous as well. Indulge this finger-licking goodlocal favourite dish with Chef Michele’s recipe for a home-cooked crabfiesta at home! 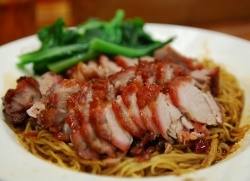 Best described as ‘Chinese Pork Jerky’, this is probably the mostindulgent dish on the list! Commonly seen during Chinese New Year, theseaddictive sliced meats are easier to make that you think – bookmarkthis for Chinese New Year and you won’t have to brave the long queuesfor store-bought Bak Kwa! Stretch your dollar with ToTT this GSS! Enjoy 50% off selected products, 10% off STOREWIDE* and more! Shop for all your essential cook, bake, and host ware at irresistible prices – only from 9 June – 13 Aug! T&Cs apply. For the month of July only, shop exclusive Purchase with Purchase deals in-store with a min. spending of $100, $300 and $500! 10% off storewide only applicable for Citi Credit Cardmembers from 9 – 30 June & 1 – 13 Aug.
Hungry for more local delights and Peranakan kuehs? 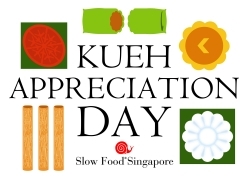 Then be sure to check out the upcoming Kueh Appreciation Day only at ToTT @ Dunearn on 23 July! Don’t miss this opportunity to enjoy traditional kueh (the Malay word for cake) from nine local kueh artisans from different ethnic groups – Eurasian, Hainanese, Hokkien, Teochew, Hakka, Peranakan, and Malay – that are stalwarts in the trade; as well as watch live demonstrations of rarely-seen creations. School Holiday Special: 6 classes & recipes to try with your kids this June!